Jake Glaser's mother, Elizabeth would have turned 69 this year. In honor of World Aids Day on Dec. 1, to spread awareness for the 35 million people currently living with HIV we would like to share this heartfelt letter from Jake Glaser about his mother, Elizabeth Glaser — a trailblazer in providing hope for children with HIV. Glaser contracted HIV during a blood transfusion while giving birth to her daughter Ariel in 1981. 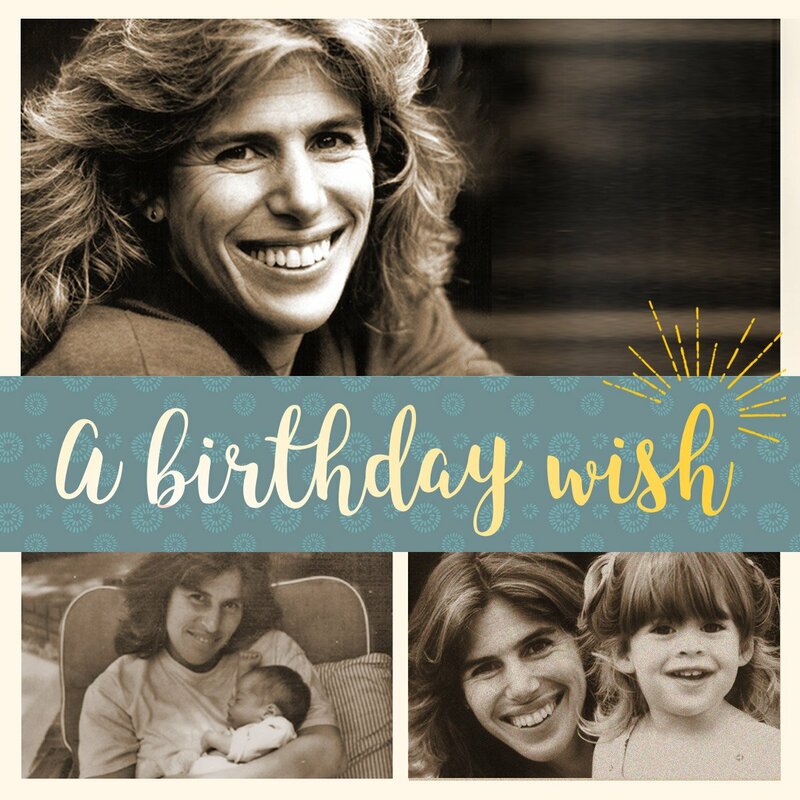 After Ariel passed away at just seven years old, Glaser went on to start the Elizabeth Glaser Pediatric AIDS Foundation. Glaser, who would have been nearly 70 this year, started the Foundation to save her son’s life, and in turn had an impact greater than she could have ever known for people with HIV around the world. Below are the words Jake Glaser shared on his mother’s 69th birthday. Growing up HIV-positive was challenging for me, as it is for so many kids. At that time, nobody was sure that I would live past ten. Today, at 32 years old, I have surpassed my own life expectancy of ten years by a long shot. I live free, I stand strong and at the same time I have met so many others who do not have the support or access to treatment that I have had in my life. Twenty eight years ago, my mother started what is now the Elizabeth Glaser Pediatric AIDS Foundation with her friends Susie Zeegen and Susan DeLaurentis. When I was a child, there were no HIV medications for children, only for adults. This was a time when few people understood that HIV affects children differently than adults. That is why my sister, Ariel, sadly passed away. My mother started the Foundation to save my life and in turn, ended up saving millions of other lives. My mother would have been 69 today. We can honor her memory and continue her lifesaving legacy together. Please make a donation in honor of her birthday today. My mother shared with the world a simple and beautiful lesson: that we can create more good together than apart. Each of us has a role in changing the world and together, we can do just that. An AIDS-free generation is within our grasp if we chose to make it a reality. Achieving it requires your continued support. With your help, and that of your family and community, we can see the end of AIDS in our lifetime. Join us for the final leg of our journey, join us in making my mother’s dreams, and that of so many more come true. Jake’s letter reminds us of the impact one person can make. He also shares a positive outlook on hope for working to end AIDS — something the Foundation named after his mother has been doing for more than 28 years. A nurse at the Chiparawe Clinic in Marondera, Zimbabwe, administers an HIV test. Over the past decade, tremendous progress has been made toward significantly bringing down global rates of HIV and AIDS. The number of new HIV infections among children per year has been cut in half since 2009, creating opportunities for healthier lives around the world. However, many people remain disproportionately affected by the disease, with limited access to prevention, care and treatment services. Every day, 400 children around the world are infected with HIV, 90% of whom live in sub-Saharan Africa. For 25 years, Johnson & Johnson has partnered with the Elizabeth Glaser Pediatric AIDS Foundation (EGPAF) to eliminate mother to-child-transmission of HIV in more than 10 countries in sub-Saharan Africa. Johnson & Johnson supports EGPAF in its ability to direct resources and fill key service delivery gaps to achieve maximum impact of health programs. Thanks to the work of many global partners, since 2001, the number of new HIV infections in children occurring every day has been reduced from 1,700 to 400, globally. EGPAF has been a leader in the fight against the HIV and AIDS epidemic since its inception in 1988. EGPAF is present in more than 19 countries where they are dedicated to preventing pediatric HIV infection and eliminating AIDS-related deaths. Their work supports activities including research and advocacy, capacity building of health care workers, strengthening roll-out of services targeting hard-to-reach populations, and improving monitoring and evaluation systems. To date EGPAF has reached more than 25 million pregnant women with services to prevent HIV transmission to their babies. 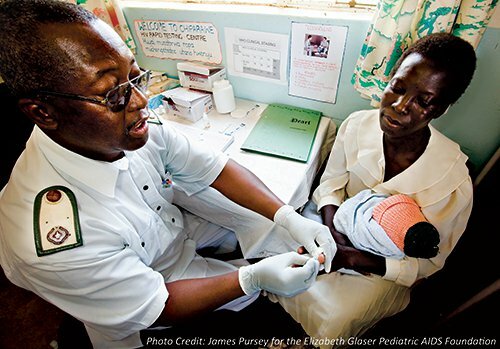 Since 2013, Johnson & Johnson and EGPAF have collaborated on the New Horizons Advancing Pediatric HIV Care initiative, a multi-sectorial partnership that aims to improve and scale-up HIV/AIDS treatment for children living with HIV through increased awareness and research, health systems strengthening and improved access to HIV/AIDS medicines. This summer, EGPAF joined forces with public, private, and philanthropic partners, led by UNAIDS and the U.S. President’s Plan for Emergency Relief (PEPFAR), to launch the “Start Free, Stay Free, AIDS Free” initiative, which seeks to eliminate HIV/AIDS among children, adolescents and young women by 2020. For more information on this exciting initiative, please view our video here. Johnson & Johnson’s ongoing collaboration with EGPAF demonstrates the potential of innovative partnerships to drive the number of new HIV infections to zero and eliminate the burden of pediatric HIV and AIDS around the world.